The London 2012 Olympic Games brought the nation together in support of our athletes. Stratford underwent a huge transformation in order to accommodate the facilities required for the athletes competing and the spectators coming to offer their support. Whilst the Olympic Games where amazing and the GB team really brought is home with a host of medals. British Athletics hasn’t rested on its laurels. Starting the Muller Anniversary Games in 2013 to highlight and showcase a weekend of sporting talent. Last month I was kindly invited along to Park Primary School, Stratford for the launch of the Muller Anniversary Games. Watching the local children take part in an extra special sports lesson with Stef Reid and Reece Prescod. Just seeing the look on the children’s faces as they listened intently to the wise words and encouragement offered by the sports superstars was breathtaking. 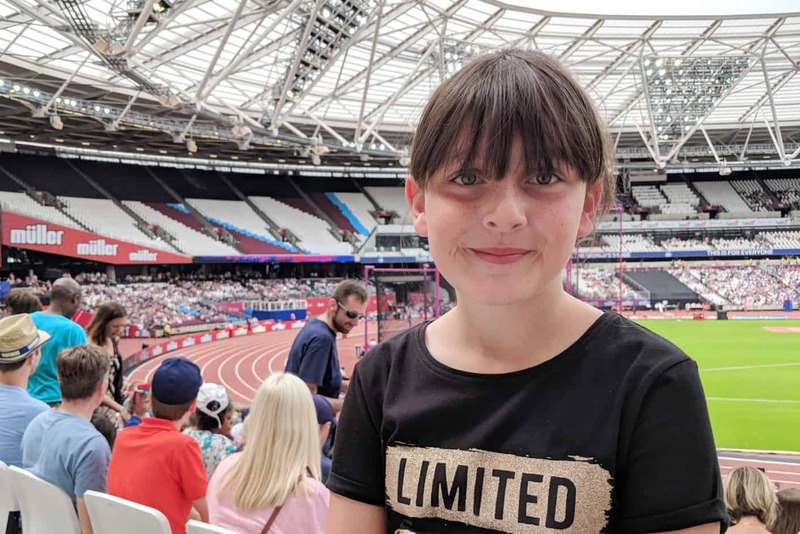 The weekend saw the fifth anniversary of the Muller Anniversary Games, with Roo and I heading down to the London Stadium on Sunday to watch the action. 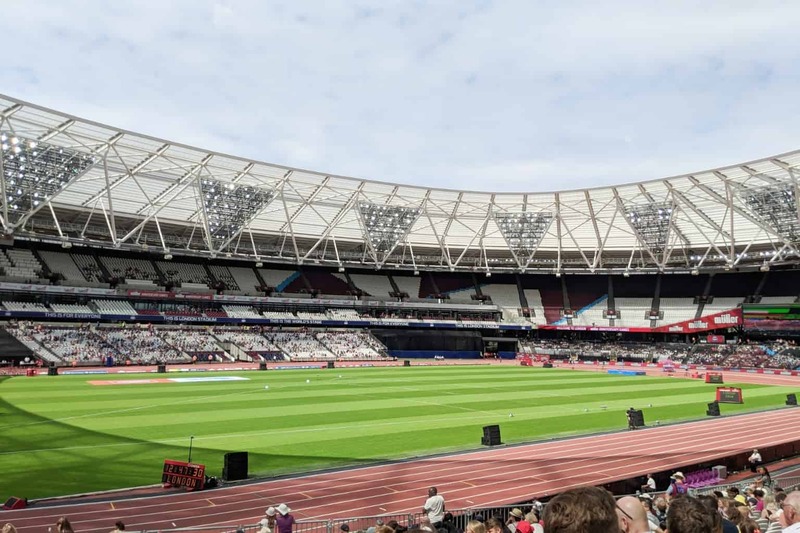 Based on the Queen Elizabeth Olympic Park the London Stadium (now home to West Ham United) is a stone’s throw away from Westfield Stratford City. Although we often visit and park at Westfield Stratford City I have to confess that we had never ventured over to the Olympic park. Given that the Queen Elizabeth Olympic Park has previously hosted the Olympics. 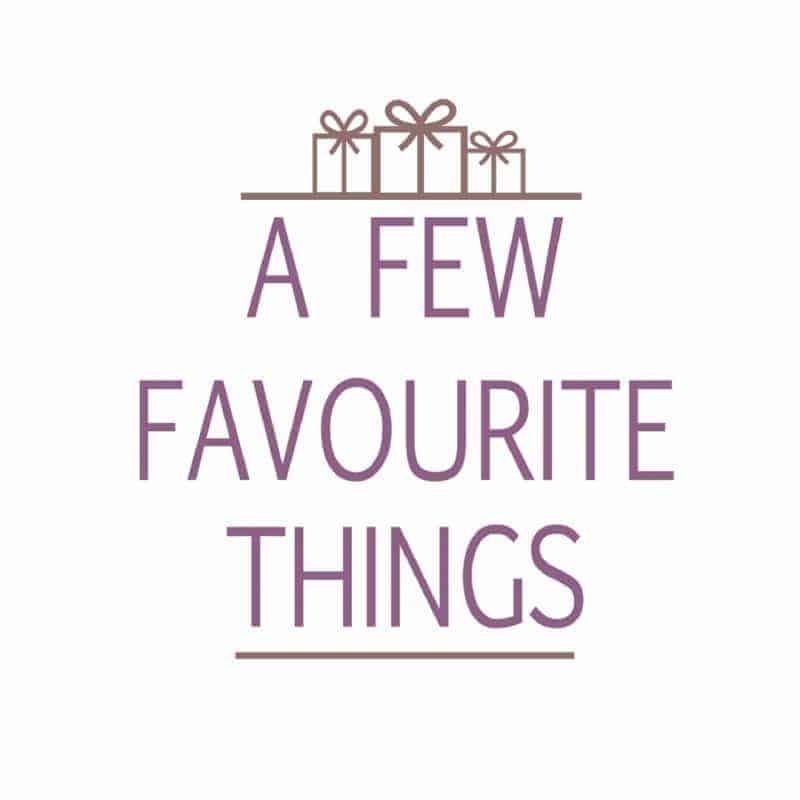 And now regularly hosts football matches, concerts and other sporting events. You’d expect them to have it all under control… and so they do! From signs, arrows and additional marshalls available from Stratford tube and bus stations right through to the Olympic Park, and across to the London Stadium. With great public transport links to Stratford, with buses, tubes and trains all readily available. Or if you are driving Westfield Stratford City boasts a large car park (well three actually, holding 5000 cars) with parking charges under £10. 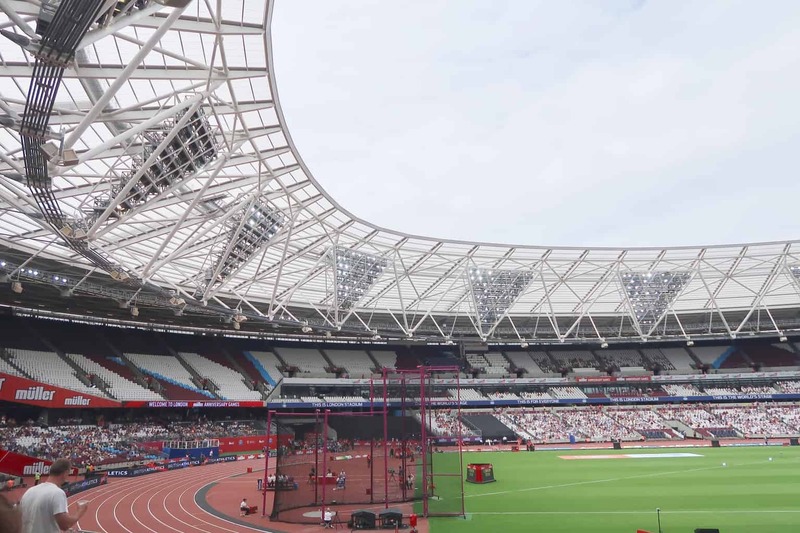 Making our way into the iconic London Stadium there is that amazing moment when you step onto the terraces and catch a glimpse of the stadium in full glory – breathtaking! At that moment we knew we were in for a fantastic afternoon. Armed with a programme we took our seats and familiarised ourselves with the events that would be taking place that afternoon. Knowing that Greg Rutherford would be competing for the final time we were pleased to find ourselves with a great view of the long jump arena. Especially as Greg had posted on Twitter that he would be taking lots of selfies (or #GregSelfie) so to have phones ready. Needless to say, we wanted in on this action and Roo made her way down to the safety barriers – she was just about tall enough! Iwan Thomas commentated throughout the afternoon and the stadium was electric from the moment he walked in. With the crowd welcoming the athletes, joining in with the ‘floss cam’ and offering encouragement. With a host of different races and events taking place across the afternoon it was a great opportunity to expose Roo to new sports she may not have seen or tried at school. She was intrigued by the discus and wondered how they managed to throw without getting dizzy. With her gasping as one of the athletes fell during the women’s hurdle race and was relieved to see her get back up and walk slowly off the track. With hurdles being her favourite track event I think she could envisage herself falling with the athlete. So many incredible sporting talents showcased across the afternoon, with the women’s relay final being my personal favourite. I can recall enjoying that at school so brought back many happy memories – although clearly, I ran nowhere near as fast as these ladies. There is no doubt that the success of London 2012 inspired many of today’s sporting superstars. 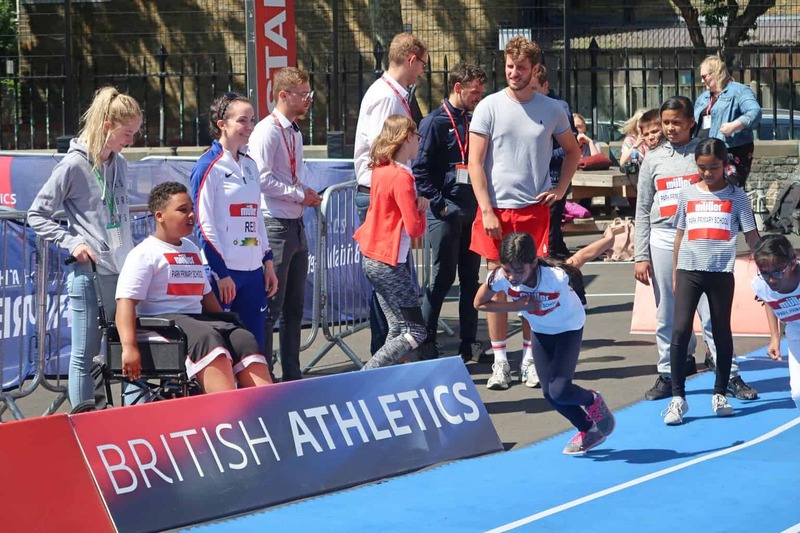 However, the accessibility of the Muller Anniversary Games has inspired the next generation. It is one thing watching your favourite sport and sporting heroes on TV and quite another standing in the stadium in which they are competing in. Seeing the tracks, the athletes and absorbing the atmosphere. Making it feel as though it is all possible and that you too could be taking part in sporting events in the future. 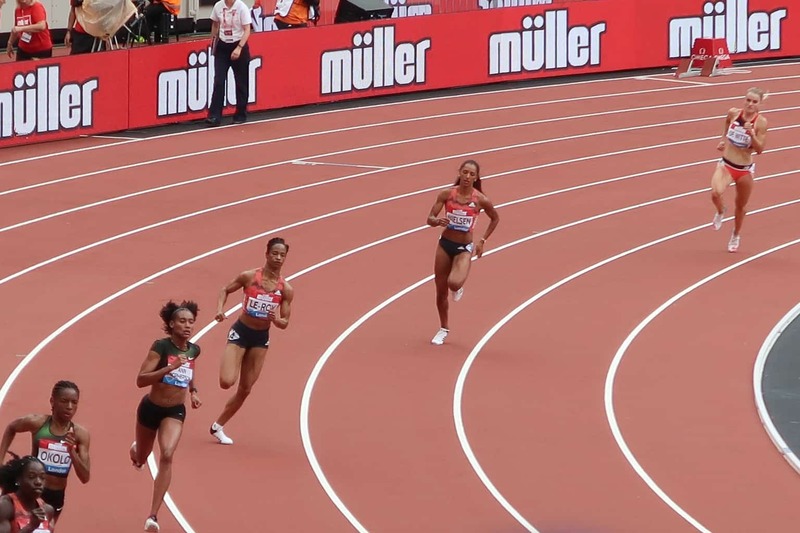 Although the Muller Anniversary Games in London have finished for this year. There are many other upcoming British Athletics event across the UK. Pop over to www.britishathletics.org.uk to see what events are available. 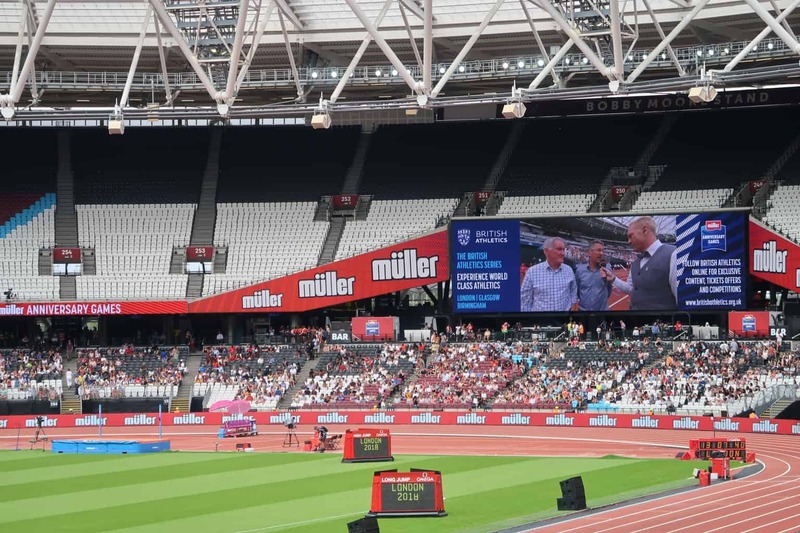 We were invited to the Muller Anniversary Games as guests of Mumsnet and British Athletics – I have been compensated for my time. Wow what an amazing experience for you all! 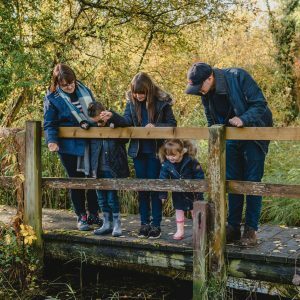 The muller anniversary games sounds like such a fab event, I’m a huge advocate of anything that encourages our children to be active! I’d love to see live sport with my four! It would have been amazing to watch this live. Sounds like it was good fun. Witnessing these in person just makes a great impact. Love those photos! we were lucky enough to go in 2012 and my son now trains with an athletics club! 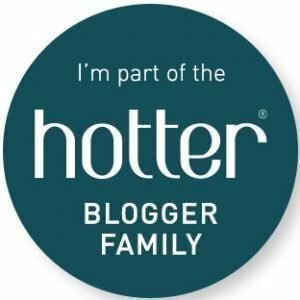 What a great inspiration heading to a fab event such as this. 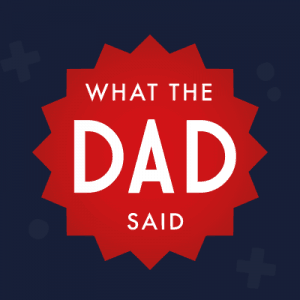 I know my kids would totally love this as they enjoy sports very much. This looks so inspiring and a fab event for sport loving kids!